The Conestoga Valley School District is located in beautiful and historic Lancaster County, just to the east of Lancaster City. Within the district are West Earl, Upper Leacock and East Lampeter townships. This area is noted for its diversity of land uses, which include industry, business parks, retail commercial, services, education and agriculture. Here you will find the Pennsylvania Dutch Convention and Visitors Bureau, the Mennonite Information Center, Greenfield Corporate Center and the Smoketown Airport. Lancaster Mennonite High School is situated along Lincoln Highway East. There are many other popular tourist attractions including true “Amish County” which can be seen by traveling on Route 340, the Philadelphia Pike. There are numerous entertainment venues including the American Music Theatre, Sight & Sound Theatre and the popular family amusement park, Dutch Wonderland. 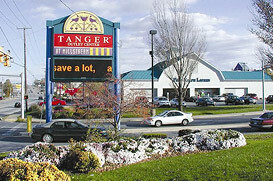 Plus many opportunities to shop with more than 200 outlets store, including the Tanger Outlet Center and Rockvale Square Outlets. There are plenty of great neighborhoods, houses and town homes in this area. Some popular boroughs and villages in Conestoga Valley are: Bareville, Bridgeport, Brownstown, Country Club Heights, Eastland Hills, Farmersville, Hilltop Acres, Holland Heights, Leola, Ronks, Soudersburg, Smoketown, Talmage and Witmer.